RTE Radio 1 listeners are in for a treat on Sunday nights as the 6 part half hour comedy series Waiting will be broadcast from August 12 to September 16 on Sunday nights at 8pm in place of Drama On One. The series was written by one of Ireland’s most successful comedy writers Fiona Looney and stars Caitriona Ennis, Rose Henderson & Deirdre O’Kane. So what is WAITING all about? The premise for the show is quirky and unique! Let’s start with a question. What do women do more than men? What brings women into contact with complete strangers and even more random conversations? The simple answer is that they wait! So this new comedy series is all about the act and art of waiting! In their lifetime women do a lot of waiting! They wait for dates, medical appointments, for parent-teacher meetings. They wait in family planning clinics, at bus stops, in changing rooms. They wait for friends, they wait for coffee, they wait for new-borns, they wait to bury the dead – and while they wait, they talk about anything and everything. And often they talk about nothing. WAITING is very much a realistic look at the lives of women and often a parody of the world they live in. The material is modern and with spoof ads, studio sketches and easily recognisable situations. The comedy comes from the larger-than-life delivery and absurdity of how the writers and performers deal with the topics and subject matter. So WAITING is a collection of sketches, ads and mini-plays. Some feature conversations overheard while writer Fiona Looney was waiting herself in real life – and some totally made-up mad stuff as well. Fiona has always been impressed by women’s ability to talk to strangers and to discuss anything but the subject at hand. It’s when they find themselves in waiting situations that their extraordinary – and occasionally bizarre – talents really come to the fore. So Sideline Productions with the support of the BAI and RTE Radio 1 brought together some of the finest comedy actors in Ireland to stage some of those journeys that go absolutely nowhere. And this being produced for radio they also threw in a few possibly not-quite-genuine ads in there as they well. 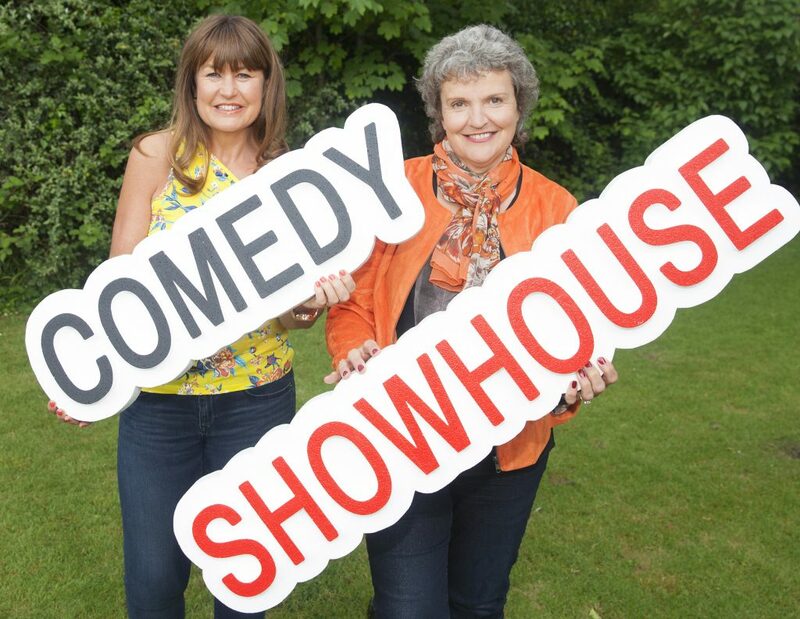 In December 2017 two show pilot for Waiting was originally broadcast on RTE Radio One as part of Sideline’s COMEDY SHOWHOUSE. 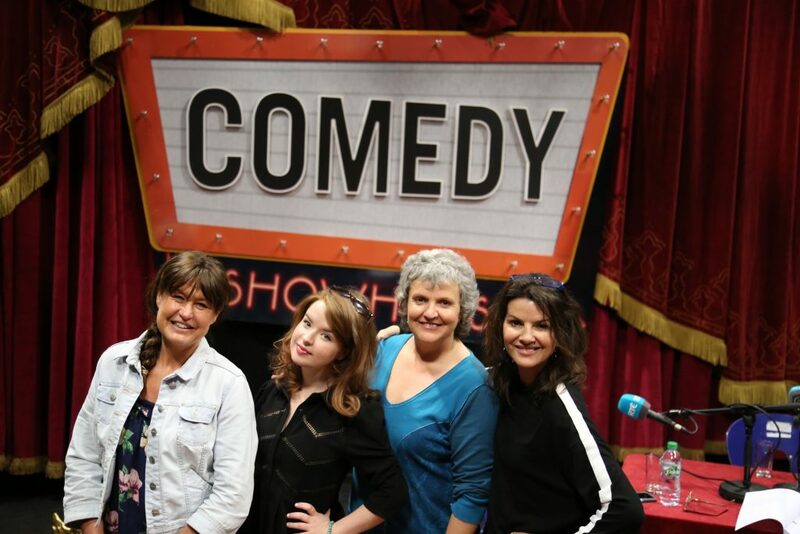 Such was the reaction to the fresh funny scripts and the performance of the brilliant cast, the live audiences gave Caitriona Ennis, Rose Henderson & Deirdre O’Kane a standing ovation and radio listeners responded with gushing praise. The good news was that the BAI agreed to fund a full series of 6 half hour episodes and those shows – staged and recorded live at The Project Arts Centre in late April 2018- are now being broadcast for 6 weeks from Sunday August 12th at 8pm on RTE Radio 1. Fiona has worked in radio, TV and theatre, both in Ireland and in the UK. She presented a weekly programme on BBC London for two years and has contributed to BBC Radio One, Radio 4 and BBC Glasgow. In Ireland, she was a weekly contributor to The Gerry Ryan Show on 2FM for 22 years. But it as a writer that Fiona has emerged as a tour de force. She has had five stage plays professionally produced – Dandelions (Olympia Theatre, Dublin and Cork Opera House, 2005 and 2006), October (Olympia Theatre, Dublin and Cork Opera House, 2009), Nuts and Bolts (Bewley’s Theatre, Dublin 2011 and Viking Theatre, Dublin 2012), Greener (Gaiety Theatre, Dublin 2012) and Are You There, Garth? It’s Me Margaret (Gaiety Theatre, Dublin, 2015). She’s also had two short plays produced at The Abbey Theatre for 24 Hour Plays for DYT: It’s The End of the World and I Feel Hungry (2013) and Lads, We Can’t Afford To Feed It Anymore (2017) plus written three pantomimes (Olympia Theatre, Dublin, 2011 – 2013). For film, she wrote Dustin’s Fowl Play for Warner Bros. Her television play, Pheasant Island, was produced by RTE in 2014. 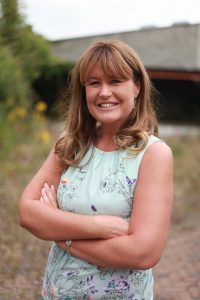 Her other television writing credits include The Fast Show (BBC1), No Limits (Sky One), Callan’s Kicks (RTE1) and The Doireann Project (RTE Digital). On radio, she has had two plays, Golf Widows (2002) and Bombshell (2015) produced by RTE Radio One. The latter was shortlisted for both the BBC International Playwright Award and the PJ O’Connor Award. Her radio comedy writing credits include two x 10 part series of Callan’s Kicks, two series of The Monica Moody Show, two series of Backchat and more than 2,000 nightly reflections, as Amelia Golightly, all for RTE. A pilot for her all-women comedy sketch show, Waiting, was broadcast at the end of 2017 and as a result of its success a six part series was recorded live at The Project Arts Centre in May and broadcast on RTE Radio 1 from August 12th 2018. A six time Irish Film and Television Awards (IFTA) nominee, Deirdre was awarded Best Lead Actress (Film) 2015 for her role as Christina Noble opposite Liam Cunningham, Sarah Greene and Brendan Coyle in Stephen Bradley’s feature Noble. Noble also won Jury and Audience awards at the Boston, Santa Barbara, Newport Beach, Nashville and Dallas Film Festivals. Other feature film credits include the BAFTA winning Festival for Channel 4, Intermission directed by John Crowley for Parallel Fims, Killing Bono directed by Nick Hamm for Cinema Three and Dollhouse, directed by Kirsten Sheridan for Factory Films.Deirdre’s television credits include Paths to Freedom (RTÉ) in which she played Brendan Coyle’s long-suffering wife Helen plus The Clinic, Fergus’s Wedding, The Fitz, and Bittersweet. 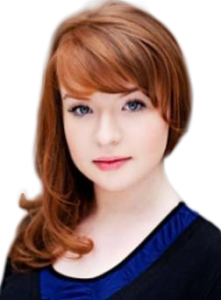 She appeared in the leading role of Debra Moone in her third series of Moone Boy (Sky) opposite Academy Award Nominee Peter McDonald and Chris O’Dowd and which garnered Deirdre her fifth IFTA nomination in 2014.Theatre credits include Mary in Juno and the Paycock (the Abbey), Miss Funny in At the Black Pig’s Dyke (Druid Theatre) Daphne in Present Laughter (Gate Theatre), Jean in two sold-out runs of Dandelions at the Gaiety Theatre for Landmark Productions, and her acclaimed performance in the one woman show My Brilliant Divorce (Druid). Deirdre most recently starred in and reached the final of the last series of the hugely popular RTE TV series Dancing With The Stars; hosted the 2017 Irish Film and Television Academy Awards (RTE) and also starred in new series of the comedy Bridget & Eamon (RTE Two) as well packing out venues nationwide with her acclaimed stand-up shows. Acting since childhood, as a student in UCD Dramsoc Caitriona played the part of Betty in A Whistle In The Dark for which she won the ISDA Award for Best Actress (2011), and Dzina in A Couple of Poor Polish Speaking Romanians (nominated for best actress, ISDA 2010). Since graduating from UCD in 2012 with a Masters in Performing Arts, Dubliner Caitriona has been attracting rave reviews. Caitriona went on to work with Louise Lowe’s ANU Productions in 2012, starring in Taking To The Bed (Phizz Fest) and The Boys of Foley Street (Dublin Theatre Festival 2012) for which she was nominated for Best Actress in the Irish Times Theatre Awards 2013. Caitriona performed as part of ANU’S THIRTEEN where she was nominated for a Dublin Fringe Award 2013. She is a founding member of the We Get High On This Theatre Collective, who have toured Ireland with their production of Caitriona Daly’s Sluts, in which Caitriona played the part of Amy. Sluts also performed in the Edinburgh Fringe (2011) and the 10 Days in Dublin Festival (2012). Other theatre credits include Joan in The Lark(Fast Intent, Smock Alley) Ciara in NARF by Caitriona Daly, Text Messages (Project Arts Centre), The State Commemoration (ANU Productions), and Annabelle’s Star by Raymond Keane and Mary McNally (The Ark). Caitriona filmed with Paul Mercier starring as Sarah in We Ourselves. Caitriona recently appeared in Anu Theatre Company’s production of Angel Meadow in Manchester directed by Louise Lowe. In late 2014 Caitriona appeared in Spinning by Deirdre Kinehan, directed by Jim Culleton for Fishamble Theatre Company at Dublin Theatre Festival 2014 for which she was nominated for a Best Supporting Actress Award in the 2015 Irish Times Theatre Awards. 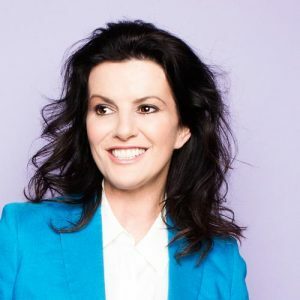 In 2017 she was nominated for her third Irish Times Theatre Award for Best Actress for her one woman show, Test Dummy plus selected as one of Ireland’s future Oscar winners by the Sunday Independent. Rose Henderson is perhaps best known for her performance as Sister Assumpta in Father Ted, and as the Daniel O’Donnell groupie in the Energia Gas Boiler safety ad. After six years in children’s’ programmes in RTE, she wrote and performed comic material on Nighthawks and “Ruby Tuesday” was her first stage play. She spent two years playing Val in RTE’s Fair City, played the lead in the Gaiety Panto “Snow White” and toured extensively with “Weighing In” by Ger Gallagher. She played Marie in “You Don’t Bring Me Flowers” with Katherine Lynch at the Tivoli, and Bernie in Isobel Mahon’s “Boom”. In 2017 Rose also performed in “The Blow-In” – a TV comedy by Alison Spittle for RTE – and a new 2 hander Gotcha for the Dublin Fringe Festival that toured Ireland throughout 2018. SIDELINE is committed to the development of new Irish comedy writing talent & invests in new projects, talent & scripts. Past projects included The Rubberbandits (Ch4); SMINKY animation (YouTube); Foil, Arms & Hog (BBC development) plus in 2016-2018 produced 52 x half hours for Comedy Showhouse (RTE Radio 1 & BAI). One of those shows Colm O’Regan Wants a Word was winner of Best Radio Comedy at both the Irish and Celtic Media Awards (2016); won the 2017 IMRO Award for Best Radio Comedy and was a finalist in the Best Comedy Special (won by Joan Rivers) at the 2018 New York Festival of Radio. NB A new episode Colm O’Regan Wants a Word (about Property) will be broadcast on Bank Holiday Monday August 6th at 1.30pm on RTE Radio 1. Credits – WAITING was produced by Sideline Productions as part of Comedy Showhouse with the support of the Broadcast Authority of Ireland and comedy website grintage.com. Written by Fiona Looney and starring Caitriona Ennis, Rose Henderson and Deirdre O’Kane, the shows were recorded live at The Project Arts Theatre in Dublin last May with sound supervision by Tom Norton. Waiting was produced and edited by Eoin Sweeney and the series producer was Billy McGrath.